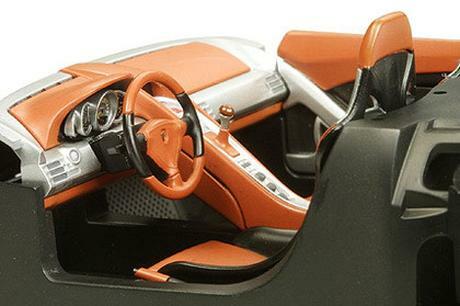 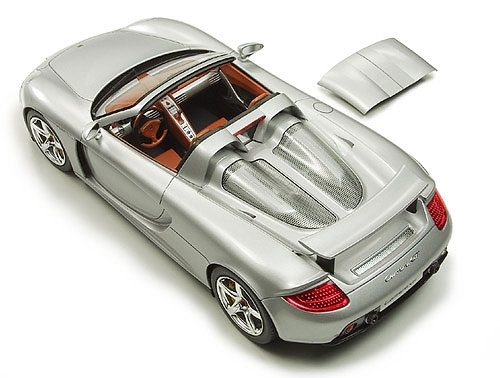 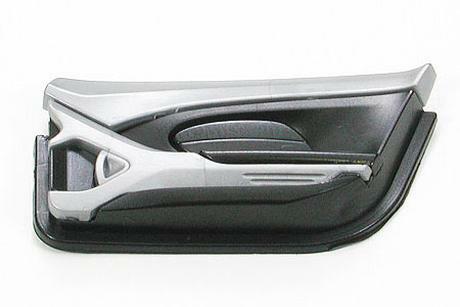 This Tamiya assembly kit recreates the Porsche Carrera GT in 1/24 scale. 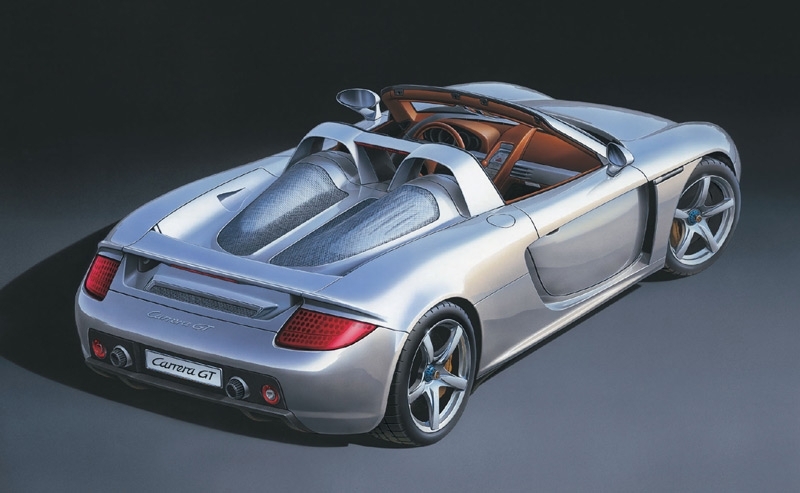 The Porsche Carrera GT first grabbed grabbed the world's attention when first unveiled as a concept car at the 2000 Paris Auto Show. Promoted as Porsche's next generation flagship super sports car, the Carrera GT was officially unleashed onto the international motoring market in 2003. 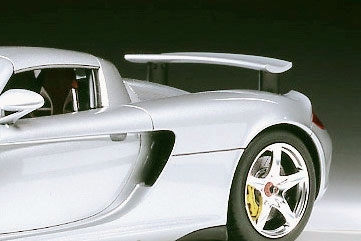 Incorporating the latest and most extreme racing technology, the Carrera GT lines up against the impressive range of super sports cars offered by the worlds top makers, such as the Enzo Ferrari and the Mercedes-Benz SLR McLaren. 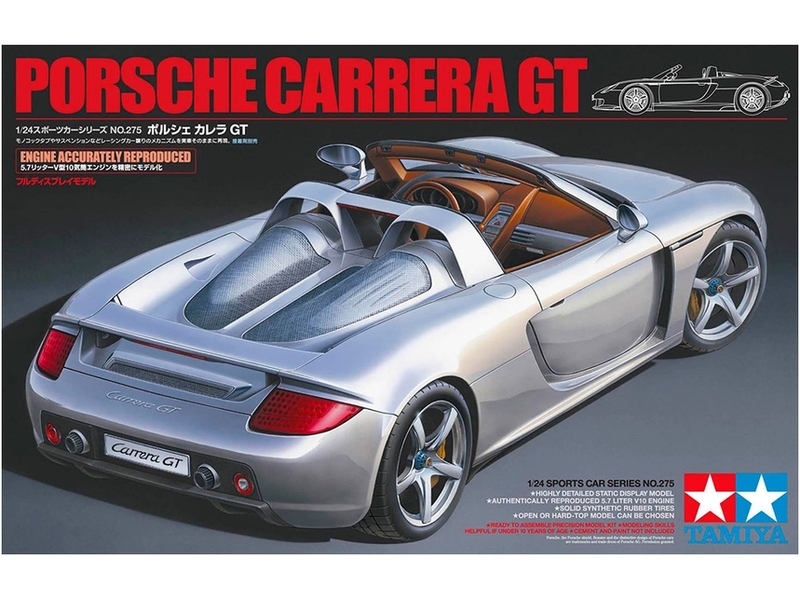 Featuring a powerful 5.7 liter V10 engine, carbon-fiber monocoque chassis and push-rod suspension all wrapped up in classic Porsche style and elegance, the Carrera GT is the ultimate high-end sports car. 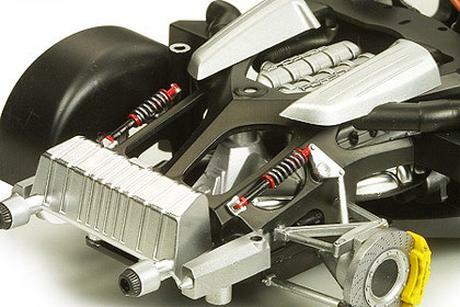 •	1/24 scale plastic assembly model Overall length: 193mm, Overall width: 83mm, Overall height: 49mm Rear hood can be opened and closed allowing display of engine and mechanics even after completion. 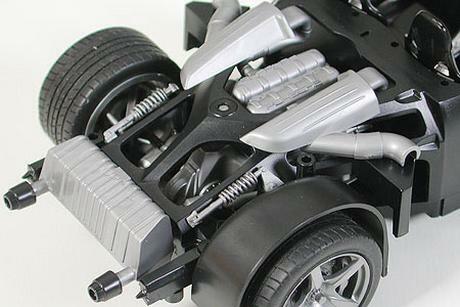 •	Monocoque chassis and front and rear suspension accurately reproduced. 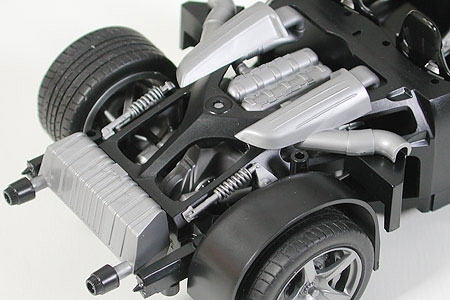 •	Metal plated parts include wheels and exhaust pipe. •	Rear spoiler can be assembled in opened or closed position. 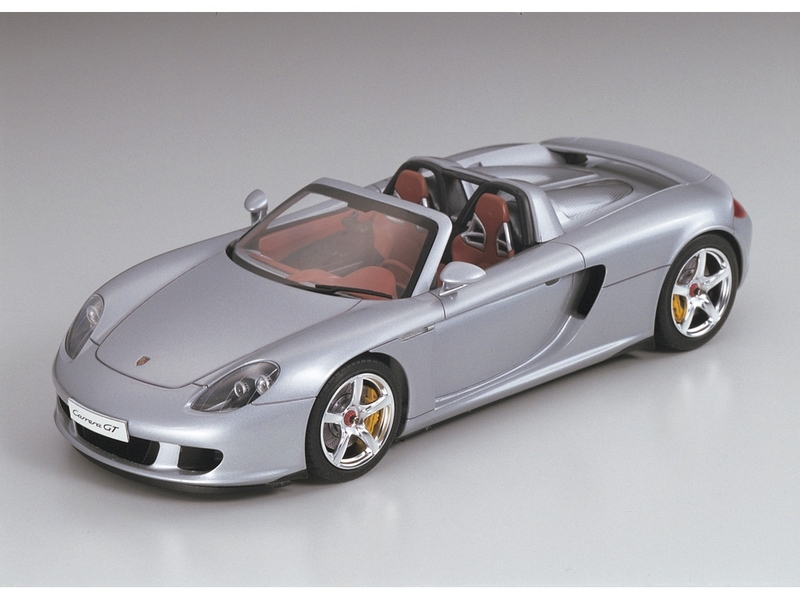 •	Display quality further enhanced by metal transfers used for mirrors and Porsche emblem.